I love a simple smoothie recipe! 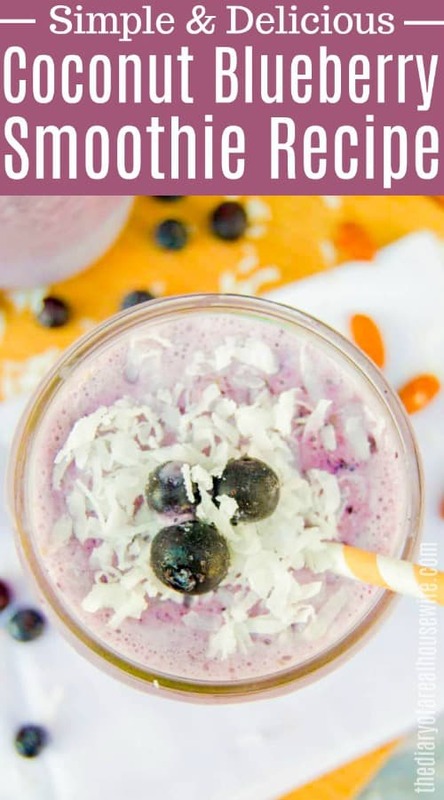 This Coconut Blueberry Smoothie is easy to make and one of my favorites. I added blueberries, spinach, and coconut milk and blended. Smoothies have to be one of my favorite breakfast ideas. I have two little ones so sitting down to breakfast doesn’t always happen for me. I’m usually in a hurry to get them dressed as they eat or packing up my bag before we head out the door. Since I really want a healthy option for breakfast, the drive-through isn’t an option. Making a smoothie is really simple. Just add all ingredients to your blender in the order listed then blend until smooth. Add more coconut milk as needed to get the smoothie to be thinner or mix better. You might need to stop and mix to make sure everything is mixed well. 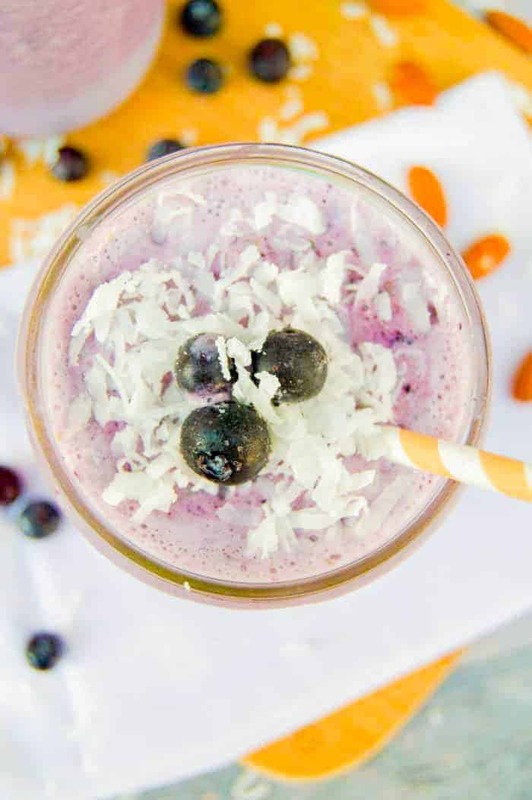 This part is optional but to make it pretty I added fresh blueberries and shredded coconut for garnish. Add all ingredients to your blender in the order listed then blend until smooth. Add more coconut milk as needed.